"As you remember your own Divine truth, the cells of your body will remember theirs." ﻿Originally the meridian lines, sometimes called acupuncture lines, on our bodies were connected to the grid lines that encircle the planet. These grid lines were designed to continue out and connect us to a vastly larger grid, tying us into the entire universe. Over time we became disconnected from these lines. The Reconnection brings in "new" axiatonal lines that enable us to standardize unique vibratory levels and frequencies for healing and, ultimately, for our evolution. These axiatonal lines are part of a timeless network of intelligence, a parallel-dimensional circulatory system that draws the basic energy for the renewal functions of the human body. 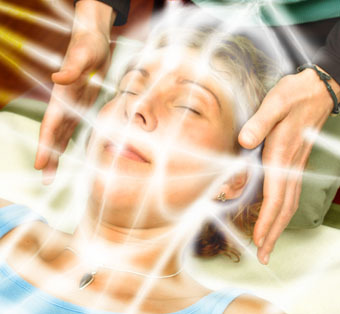 The Reconnection brings in and activates these new lines, allowing for the exchange of energy, light and information, the reconnection of DNA strands and the reintegration of 'strings' (simultaneously occurring – or parallel – planes of existence).